Aberdeen is a city that has a little bit of everything – including more than its fair share of ghosts! From the kilted man who has even appeared to the Queen herself in her castle, to the hanged soldier who is bound to the bus company headquarters, it seems like almost every building in Aberdeen has it’s tale to tell. Ma Cameron’s is believed to be one of the oldest pubs in Aberdeen, so it is no surprise that it is also home to some Aberdeen ghosts! One of the unique things about the pub is that between the 1770s and the present day it has only had 4 owners! That is up until it was recently taken over by Belhaven Breweries. 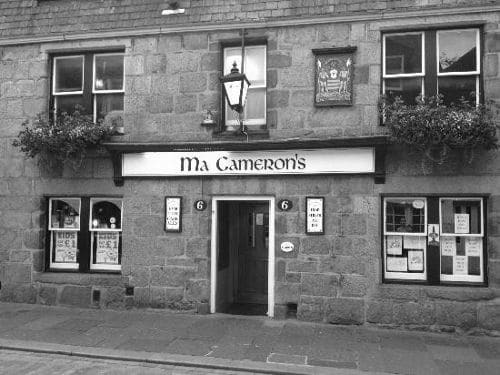 There are several spirits that call Ma Cameron’s home and we don’t just mean the ones that are stocked behind the bar! To the right of the main entrance lies the snug which is the oldest part of Ma Cameron’s. It is here that an employees frequently see the beer tap being turned on when nobody is nearby and they often feel as though they are being watched. Then there is the story of the painter and decorator who was called in to take care of some painting. He was working away one evening when he heard distinct knocks on the ceiling. He knew that the room above was empty and locked, but to be sure he knocked 3 times on the ceiling with the handle of his brush. He was answered with 3 knocks from above causing him to flee in terror from the pub! If we were to ask you what sort of building you might expect to be featured on a tour of haunted Aberdeen, you probably wouldn’t pick out the First Bus headquarters! However, this is actually one of the most haunted places in Aberdeen, although there is a pretty good reason for that! You see, First Bus actually have their headquarters in a building that dates back to 1862 and closer resembles a castle than it does an office! The building was once home to the Aberdeenshire Highlanders who were the city’s volunteer militia and the barracks still retain their Victorian facade. In fact, up until a recent renovation, the building still housed a convalescent hospital wing! One of the men that was treated in the hospital was Captain Beaton who had sustained head injuries when blown up by a German shell. He was bed ridden for a month and then given light duties as a quartermaster. He eventually got his orders to return to the battlefield, but he could not face it and hanged himself in the mess room. It was considered a great shame for a soldier to commit suicide so the incident was kept pretty quiet. However, shortly after the end of the war, the building was used as housing due to a shortage and children often played upstairs in the empty turret. Several children began to report encountering a man up there with his head wrapped in bandages who would smile at them and then vanish! The activity seems to have slowed down since the hospital wing was renovated, but the turret still stands and from time to time Captain Beaton is seen in the building dressed in his distinctive kilt and tunic. Chaplin’s Court dates back to around 1519 when it was founded by Bishop Gavin Dunbar to serve as accommodation for the chaplains, or vicars as we now know them, from St Machar Cathedral. It is thought that up to 20 men would have lived their at any given time. Over the years the building has served as divinity classrooms, a manse and it has now been converted into flats that are usually used by students. The property is also said to be one of the most haunted places in Aberdeen with reports of mysterious footsteps when nobody is in sight, the sounds of people eating and chatting in the area which would have been the chaplains’ dining area and perhaps most frightening of all, the apparition of a ghostly woman sitting in the rocking chair knitting! Balmoral Castle is one of the many different official residences of the British Royal Family. It was first purchased by Queen Victoria and Prince Albert. It is distinctive in that it is not actually part of the Crown Estate, but rather is a private property belonging to the monarch. When Queen Victoria purchased it she felt that it was too small for her liking and had it demolished and rebuilt into what we see today. The new build was completed in 1856. 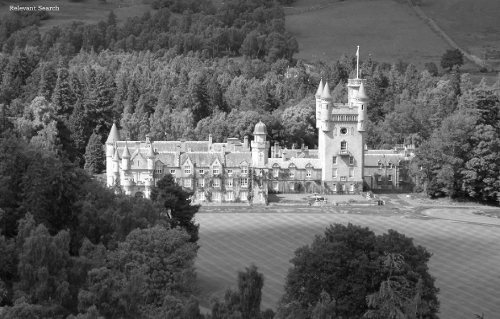 Like so many castles, Balmoral Castle has its fair share of ghost stories. One of the most popular being the ghost of John Brown. He was a close personal friend of the Queen. In fact, one popular rumour is that John Brown was a servant at Balmoral Castle who Queen Victoria fell in love with, but this is purely a matter of conjecture. Whatever the truth is, he feels some attachment to the castle and his spirit is often seen walking around the corridors wearing his kilt. To give some level of credibility to the tale, HRH Queen Elizabeth II herself has reported seeing him and feeling his presence! 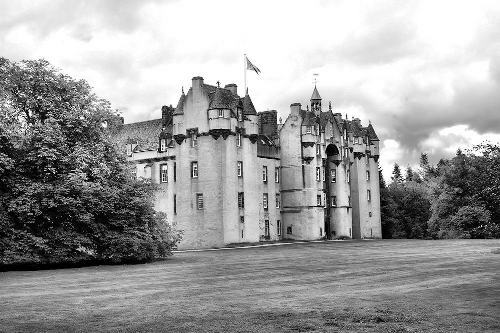 Fyvie Castle is not quite in Aberdeen, but near Turif about 45 minutes away – still within Aberdeenshire so we think it deserves its place among the most haunted places in Aberdeen! The castle was built in the 13th century by William the Lion and served as a Royal strong hold up until 1390. It then passed through a number of Clan families, each of whom built a new tower! The first was Preston Tower which was added some time between 1390 and 1433 and can still be seen today. This was followed by the Seton Towers in 1599, The Gordon Tower in 1777 and finally, Leith Tower in 1890! As you might expect, Fyvie Castle is home to a number of Aberdeen ghosts including a Grey Lady, a Green Lady and a phantom trumpeter! Let’s start with the ladies of Fyvie Castle! It is believed that the Grey Lady is probably the spirit of Lady Meldrum who dies in the 13th century. She requested that on her death she was to be buried in the walls of a secret room in the Meldrum Tower. Her remains were not discovered until 1920 when she was laid to rest in the cemetery. However, from that day onwards there were strange occurrences in the room and her apparition has been seen around the castle. The Green Lady is said to be Dane Lilias Drummond, who was the wife of Sir Alexander Seton. Th poor woman bore her husband 5 children, but none of them were male. Alexander was eager for an heir and turned his attentions to his wife’s cousin Grizel Leslie. Lillias was heartbroken and went to live in their home in Fife where she fell ill and died soon after. Later, Alexander and Grizel married, but on that night they heard sighs and scratching at the bedroom window which they put down to the wind. However, the next morning Alexander discovered ‘D Lilias Drummond’ carved into the stone outside the window! The mark is still visible today and Lilias’ apparition has been seen moaning of betrayal while wandering around the castle! The Phantom Trumpeter has been identified as Andrew Lammie who is said to have died of a broken heat when his wife Agnes died. He apparently appears dressed in tartan close to the castle wall. Visitors spot him often and approach thinking he is a staff member or guide, only for him to disappear in front of their eyes! Norwood Hall Hotel is something of a hidden gem. It dates back to the mid 1800s and has managed retain a great deal of its period charm over the years including the original oak panelling and the open log fires. It is also one of the most haunted places in Aberdeen! 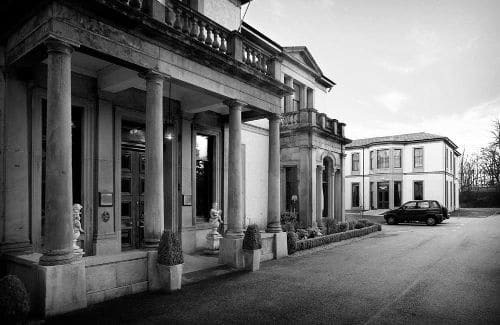 It is said that there are 3 different ghosts that haunt Norwood Hall Hotel. One of them is James Ogstion, a former owner and the other two are his wife and his mistress. James is usually spotted standing by the log fire in the dining room while his mistress tends to haunt the main stairs. However, it is the wife who seems to be the most restless. She has been spotted in all areas of the building, perhaps searching for her husband and his lover in order to take her revenge!